3 oz silver proof cannabis cures End the war on Freedom! .999 pure BOX COA, BU! 2 oz silver Proof Cannabis Cures and 1 oz silver Proof End the war on Freedom Collector Pair! .999 pure silver, BU, COA! Limited Edition Mini Mintage and Micro Mintage! 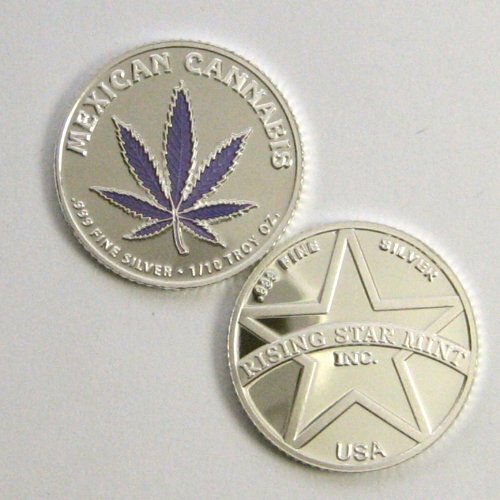 A must have pair for any Cannabis Enthusiast!1 oz silver Proof End the War on Freedom! Limited edition, Micro Mintage, .999 pure silver, COA, Presentation Box! Silver Shield! Micro Mintage of only 745! End the war on freedom! Comes with a Certificate of Authenticity! COA! Includes a Presentation Box! Also a Protective Plastic Capsule safe for long-term storage! Limited edition, micro mintage of only 745! Cannabis is a wonderful natural gift, and yet we treat it like it is the most dangerous drug on the planet. There has never been a reported overdose from Cannabis, and yet legal drugs like cigarettes, alcohol and prescription drugs claim 500,000 a year in the US alone! The real reason why Cannabis is illegal is that, like silver, it is a threat to the establishment. Cannabis is a cheap, localized solution to many corporations like alcohol, fuel, medicines, chemicals, and paper. The medical benefits of Cannabis are not matched by any other plant on Earth. It has proven to benefit, PTSD in Veterans, glaucoma and even cure cancer. In fact, there are over 700 medical benefits to Cannabis! It is time to change the consciousness on Cannabis and legalize nature. Go look at a 1914 $10.00 bill on the reverse... Oops, there it is Beautiful 2018 silver shield emblem on Reverse side! 2 oz silver Proof Cannabis Cures! Silver Shield! Extremely limited edition! Micro Mintage of only 491! 2 OZ PROOF MICRO MINTAGE! .999 PURE SILVER. BU! COMES WITH DISPLAY BOX. COA CERTIFICATE OF AUTHENTICITY. ENCAPSULATED WITH A PROTECTIVE PLASTIC CAPSULE FOR LONG-TERM STORAGE! This amazing 2 oz proof round represents the endless beneficial aspects of the cannabis plant! From helping children with seizures utilizing CBD, to helping cancer patients. Cannabis has thousands of uses that are now being utilized due to the legalization around the country! This round celebrates the future of cannabis and the science behind the plant! Also includes new Silver Shield 2018 reverse emblem! 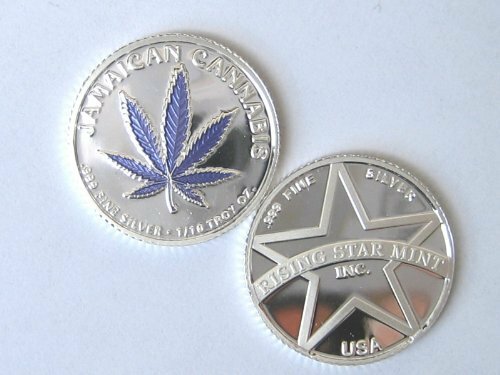 Get your amazing cannabis cures 2018 2 oz silver proof round, before they are gone! IRA precious metals account approved! IRA Precious Metals Account Approved! We strive to provide the highest quality silver products. Protect and preserve your wealth with silver! Check out and follow our store for our latest available silver products! Happy silver stacking!